France will oppose giving the European Union a mandate to start talks with the U.S. to negotiate cuts in industrial tariffs, saying negotiations aren’t appropriate at the same time as President Donald Trump is threatening the continent with tariffs. 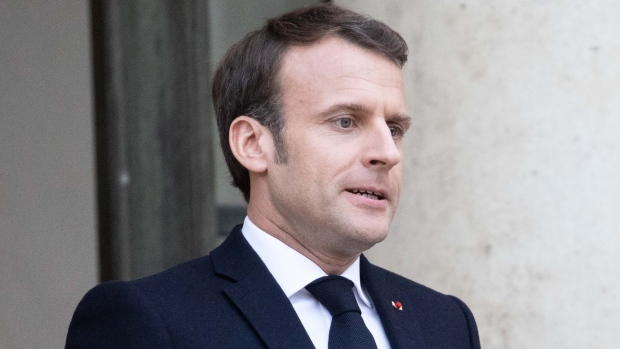 European talks with the U.S. are not “opportune” in the current situation, an official in President Emmanuel Macron’s administration told reporters in Paris Thursday. The French leader’s opposition to trade talks with the Trump administration is also motivated by the fact that the U.S. has said it would leave the Paris Climate Accord. The Macron administration says France may be the only country to signal unhappiness with the mandate to be given to the EU’s trade chief, Cecilia Malmstrom. It will notify the EU later Thursday about its position, which won’t prevent EU ministers as a whole from giving their rubber stamp due April 15, the official said, asking not to be named in line with Elysee Palace ground rules. Earlier in the day, envoys from the 28 nations of the EU approved the mandate, under a qualified weighted-majority. France said it informed Germany before making its decision public. France’s opposition comes even after it won concessions on wording related to the environment and to a previous, now shelved, plan for a broader trans-Atlantic commercial deal. Macron’s motives were described by his team as a “coherent long-term vision,” linked to the Paris Climate Accord and his campaign for the European elections next month.